Council is responsible for the booking of varied sporting complexes within the Greater Shepparton region. Council also controls a variety of locations which are suitable for Wedding ceremonies. Council employs a facility bookings officer who co-ordinates usages of reserves and parks within the region who can be contacted on 03 5832 9390. All bookings must be accompanied by a completed booking form, which can be found in the links below. 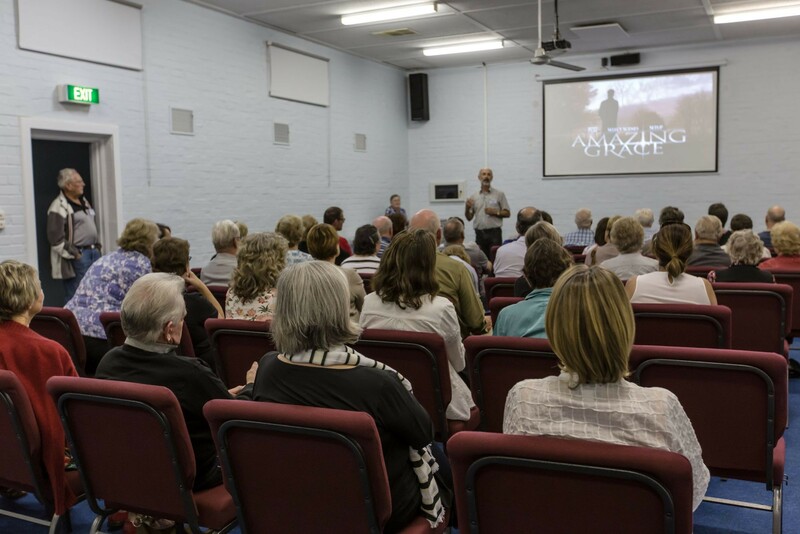 There are a number of public halls and community centres in the Greater Shepparton region available for hire. Scroll through the list below to find out more information and contact details. Note: These venues are not managed by Council. You should contact them directly to make enquiries or bookings. For more information or bookings, please phone 03 5826 7202. For more information or bookings, please phone 03 5832 9707. The Bunbartha Community Centre is located on Barmah-Shepparton Road, Bunbartha and is situated at the same site as the Bunbartha Recreation Reserve. The community centre is available for hire and includes tables, chairs and a BBQ. Plenty of parking is available. Other facilities on site include tennis courts, cricket ground, BBQ facilities, children's playground and toilet facilities. For more information or bookings, contact Tonietta Mackin on 03 5826 9483 after 6.00pm. An historic solid brick building in excellent condition situated on the Midland Highway, Byrneside. For more information or bookings, please phone 03 5855 2461. For more information or bookings, please phone 03 5820 3255. For more information or bookings, please phone 0403 204 116. For booking enquiries please phone Carolyn Allen on 0448 299 044 (evenings only). The Community Centre is located on Langham Road, Dhurringile. The building is available for hire for weddings, parties, meetings and sporting events. The kitchen is fully equipped with cutlery, glasses, tables and chairs for 100 people but the building can accommodate 180 people. Heating is no problem at the venue, with gas providing warmth for all attendees. The facility has indoor badminton court, four tennis courts, indoor volleyball court and lighting to accommodate sporting events, change rooms, toilets and showers. There is a large car park to the east of the building. For more information or bookings please contact Jodie on 0408 417 852. This venue is located in Mary Street, Dookie (on main street). The hall was established in 1896 and can cater for a dances, discos, weddings, birthdays and more! There is a large main hall that offers a raised stage area with curtains, a separate supper room and adjoining kitchen - tables and chairs are provided. Features a large lawn and shaded play area with extensive child-proof fencing, gas heating and evaporative cooling system throughout. This Dookie icon was recently painted and is a proudly maintained community facility. Ample parking is available. For more information or bookings please contact Bruce Bradbury on 0428 347 300. This venue is located 20 minutes from Shepparton on Karramomus Road, Karramomus. This well presented quiet reserve hosts a hall built by the Beals more than 40 years ago with a great dance floor and accessible ramps to toilets. The reserve comprises of two tennis courts with a pavilion equipped with kitchen facilities and shade around the pavilion. A BBQ is available upon request. This reserve can be used for family reunions, parties or sporting events. For more information or bookings please contact Gwenda Metzke on 03 5827 1385 (after hours). For more information or bookings, please phone 03 5828 3431. The Kialla District Hall is located at 135 Central Kialla Road about 10kms south of Shepparton. The floor surface area of 275 square metres has a great dance surface with a large stage and efficient heating and cooling. 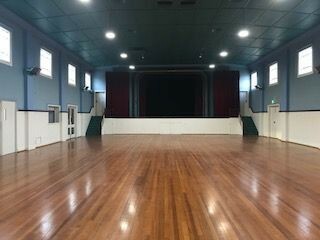 The hall is suitable for weddings, birthdays, family celebrations, school productions, concerts, sporting functions, exercise activities, meetings, conferences, large social functions, indoor markets, exhibitions and other events. Trestles, round tables and chairs are available with a hall capacity for up to 180 people. It offers a large kitchen facility with a large gas stove, oven, refrigerator, microwave, industrial dishwasher, pie warmer, with large bench and table preparation area as well as a large server/bar area with drinks refrigerator and urn. Contact the Bookings Officer on 0457 667 180 or email kiallahall@gmail.com for an inspection for your next event. For more information or bookings, please phone 03 5828 8203. The Merrigum Public Hall is located on Morrissey Street. 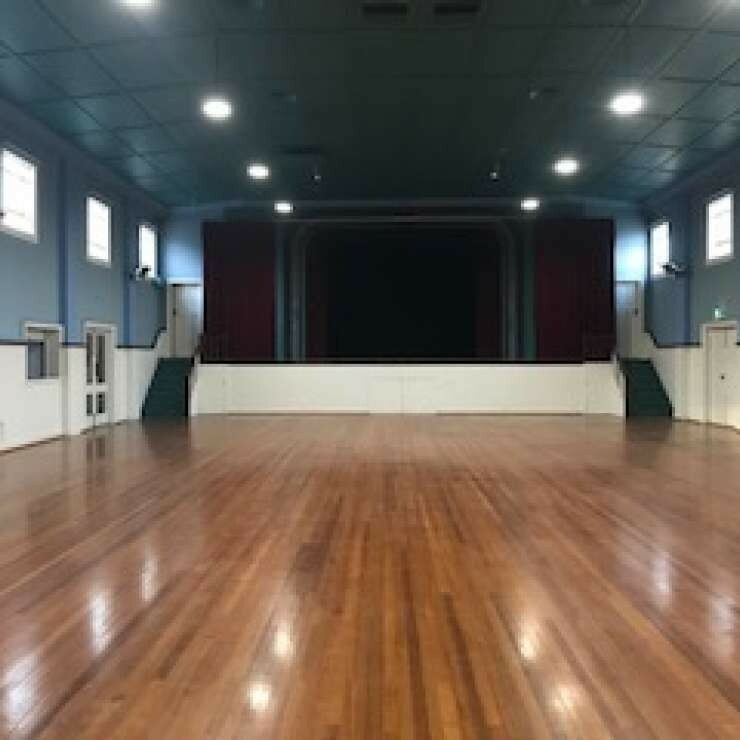 It has a large main hall suitable for weddings, birthdays, family celebrations, school productions, sporting functions, concerts, exhibitions and other events. A smaller hall can be used to cater for smaller functions. It has a large kitchen and a small meeting room. Table hire is also available. For more information and bookings please contact Sally Taylor on 03 5855 2566 or 0408 674 097. This venue has two halls suitable for social functions, group bookings, indoor bowls and exhibitions. It is located in the main street of Mooroopna, McLennan Street. The Mechanics Hall can accommodate up to 200 people and the O'Brien Hall can accommodate 80 people, both facilities have clean, neat toilets and kitchen facilities. For more information or bookings please contact Christine Parnell on 0402 351 311. For more information or bookings, please phone 03 5821 5744.
funerals, birthdays, trade displays, meetings, arranged speciality sales and club events. The centre can support functions catering for up to 400 people in a wide range of configurations. Two data projectors with screens available on request. PA, DVD, CD, Computer and iPod/iPad facilities available. Table cloths can be hired separately from the Mooroopna Football Netball Club. Full kitchen and bar facilities available for catering or for outside caterers. For more information about hire charges, equipment and services available or to make a booking, please phone 0402 176 499. This local hall has a good dance floor and can accommodate between 100-200 people for a dance, meeting, wedding, etc. The facility has a supper hall which provides chairs and trestle tables for functions. 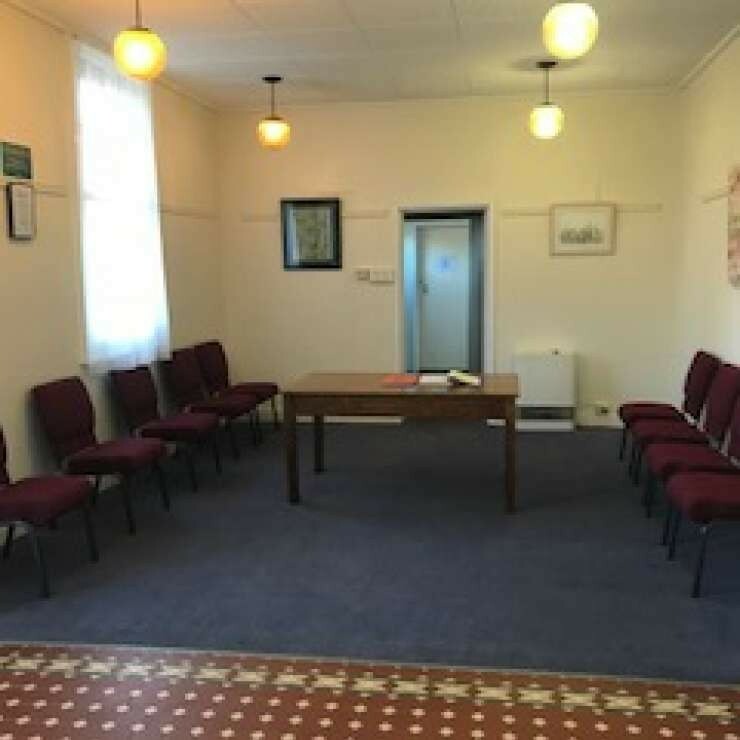 The Hall is located in the main street of Tallygaroopna, Victoria Street and the site has great car parking, good toilet facilities and an adjoining park with playground area. For more information please contact Mr Tony Farrell on 0412 878 262 or by email on tonyfarrell@sunweld.com. 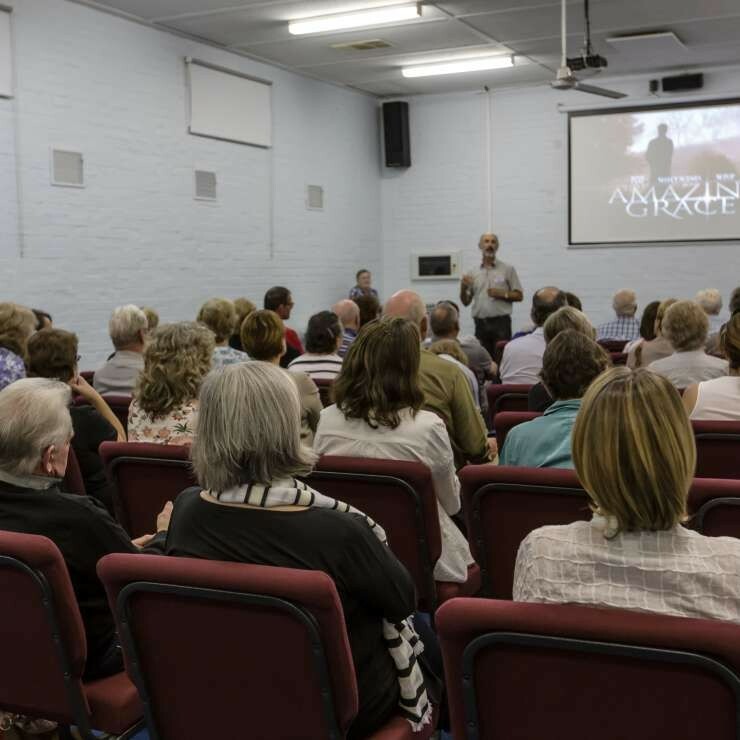 Tatura's Victory Hall and Tatura Mechanics Institute Hall cater for up to 200 people, with a fully functional registered kitchen, disabled access, along with a bar area that can cater to both halls. People are able to hire either the Victory Hall or Mechanics Institute with the option to hire both spaces. In addition, the front foyer of Victory Hall makes a great meeting venue for up to 20 people. Hire of tables and chairs for outside events is also available. For more details please refer to our website enquiry form, or email our Booking Secretary. The Toolamba Community Centre is located on Wren Street Toolamba on the Toolamba Recreation Reserve Site. 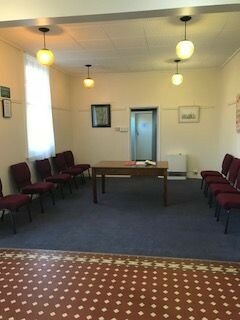 The Community Centre is available for hire for functions of up to approximately 100 people. The centre provides tables, chairs and kitchen facilities, as well as tennis, cricket, BBQ and play equipment. For more information or bookings please contact Jim Woodward on 0427 099 955.